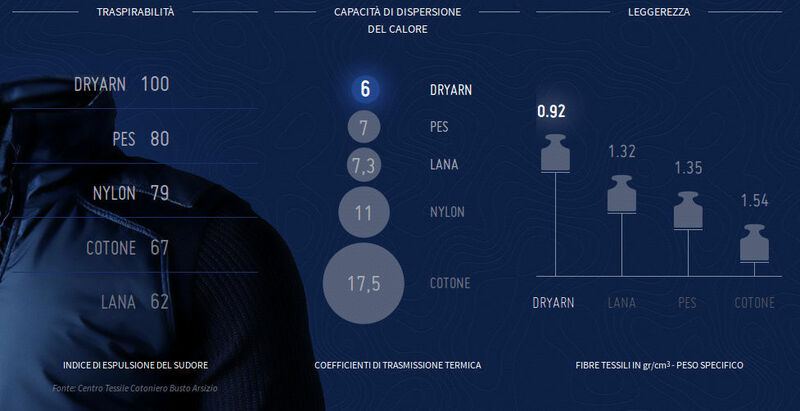 Unisex thermal sport suit (long sleeve shirt+leggings+socks) made with the super technological polyamide yarn emana®+Dryarn, anti bad odor and/or sweat as treated with nano silver particles. It fits your body with a low compression to keep and increase your body warmth. It is a product whose characteristics do not vary even after numerous washings (permanent effect), it is easy to wash and dry as nylon tights.